The event will be hosted once again by Teesdale Athletic Club within the magnificant grounds of Raby Castle, near Staindrop, in Teesdale, and its surrounding estate. This year will see a full programme of four races for all abilities, including the 1.2 km Fun Run for those aged 8 years old and under and the 3 km Fun Run for those aged 11 year old and under. Following the junior events a 5.0 km distance for those aged 11 years and over will take place followed by the 10 km race for all competitors aged 16 years and over. This is a very popular event and despite increasing the number of available places both the 5.0 km and 10 km events sold out swiftly last year. The Race Director advises competitors to book early to avoid disappointment. Minimum Age for Registration: 16 years and over on race day. The 5.0 km Race is a 1 lap course taking runners initially uphill to the highest point on the course at about the 1.5 km mark. Continuing on tarmac, passing through a farmyard before heading back toward the finish passing first through woodland on good trail tracks. Emerging from the wood with just 1 km before the finish, you are now back onto tarmac road. A sprint finish will help secure a great finish time and well deserved winners medal. Car Parking In the grounds of Raby Castle Estate. Polite Notice: Guests travelling by motor vehicle are kindly requested to arrive before :0945 in order to help keep everyone safe as possible. This year we have decided not to post race numbers out to competitors before the race. Instead all Race Numbers will be available to collect from Race HQ on the day. Please allow extra time to collect your race number before the start of your event; and don’t forget your safety pins. Water will be available at the finish for all competitors and also from a Water Station located at the 5.0 km point on 10 km race only. Due to parking availability near the start and finish, there will not be a baggage tent. 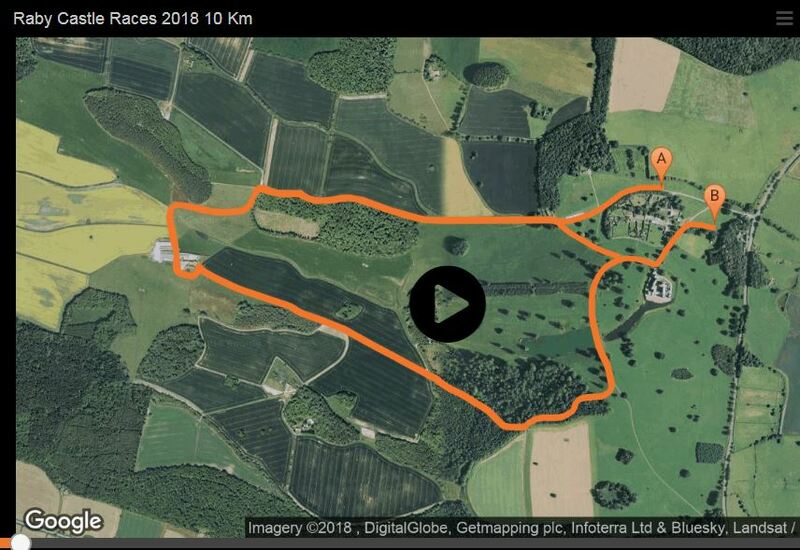 How was Raby Castle 10km?